In Previous post, I explained how to deal with XmlObject in Java Callout. 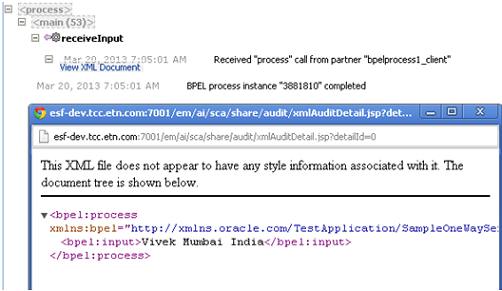 We can't use the response XmlObject in OSB message flow but we can easily pass that XmlObject to another Java Callout. In This post, I will explain how we can pass XmlObject response from one Java Callout to another Java Callout action. 1.) Create one Java class and create one static method that takes XmlObject as input parameter and return String as return type. 3.) 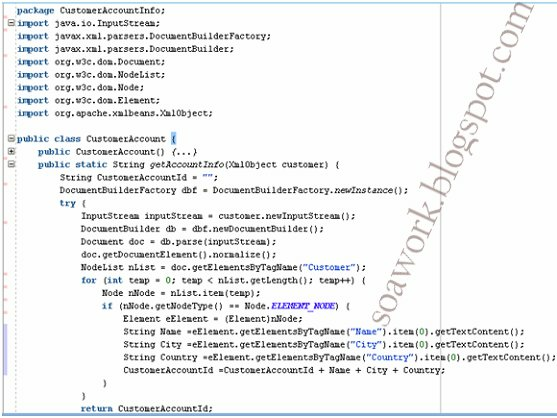 Add another Java Callout action in TargetServicePS message flow and assign result variable of above Java Callout to input variable of this Java Callout. 4.) 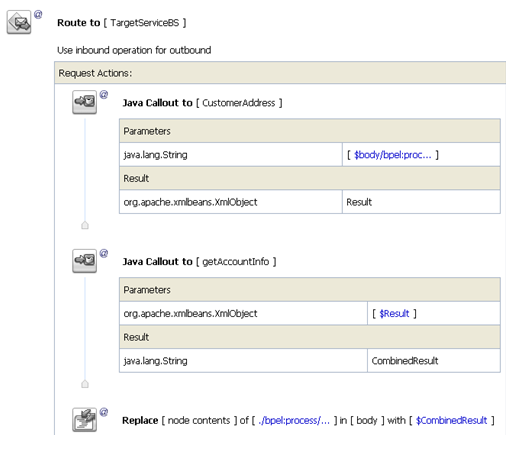 Now assign response from second Java Callout action to input variable of target Service.